2018 Update: The Mophie Juice Pack is still an awesome addition to your smartphone. No need to run out of battery while on the go. Last year the #1 item on my iPhone Accessories Gift Guide was the Mophie Juice Pack for iPhone 3G and 3Gs. When in Vegas for CES I stopped by the Mophie booth to talk about how much I loved my older juice pack. But I had since upgraded to an iPhone 4, so I could no longer use it. The rep happily gave me a new Mophie Juice Pack Air Plus for the iPhone 4. This is a permanent fixture on my phone. Even though the battery on the iPhone 4 is greatly improved over past models, it is still a must to have a backup if going out all day. I like the design of this newer unit a lot better than the model that I had for my iPhone 3Gs. Not that it was bad, but this one is a lot sleeker. It also has better grip. The older unit was hard plastic and kind of shiny. This one has a soft matte finish that hardly shows wear. 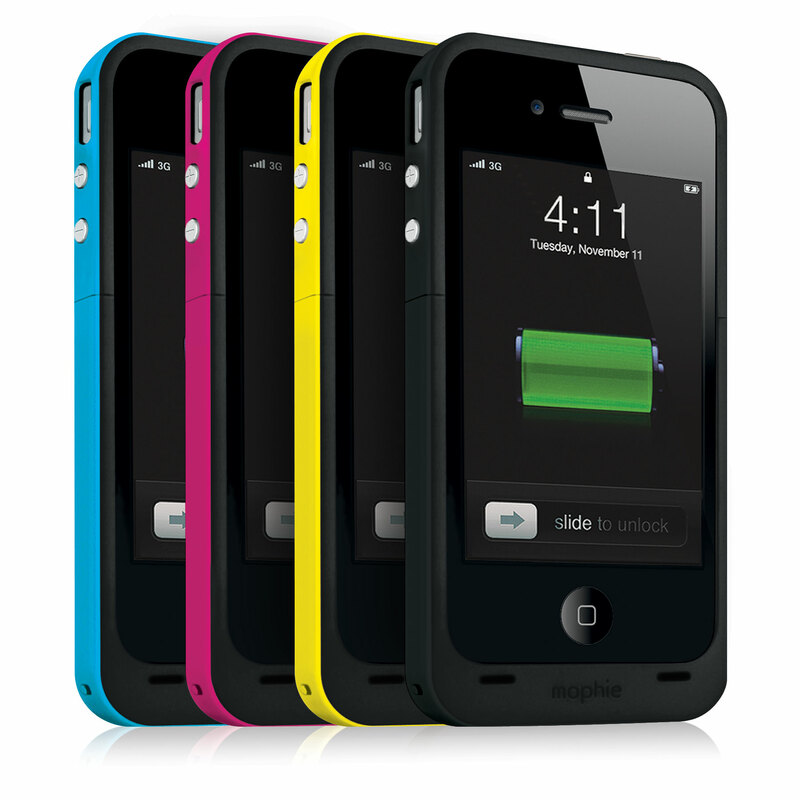 The Juice Pack Plus for iPhone 4 is available in black, yellow, magenta, and cyan. Although I love switching up cases sometimes to change the look of my phone, I make sure that I have my Mophie on my phone when going out for long periods of time. If you have an iPhone 3Gs, you are probably very familiar with having to charge your phone halfway through the day. When at conferences, etc. it’s common to see people charging phones, sitting near wall outlets, or asking friends if they can borrow their iPhone charger for a bit. With a Mophie, you would no longer have to worry about any of that. with an ultra-thin, light-weight, low-profile design and shock-resistant band. to use the juice pack plus battery when you need it! Embedded electronics results in no signal interference with the iPhone 4.
iPhone 4 to the front, resulting in a richer, fuller sound quality. displays how much time remains during the charging process. as well as 2000 mAh capacity. Sleek design includes a new, soft-touch, rubberized finish and a shock-resistant band. matches your style, including cyan, magenta, yellow and black. to iTunes without having to remove it from the juice pack plus. Portable charging whenever you need it. No cords to carry around. A very sturdy case that also protects your phone. 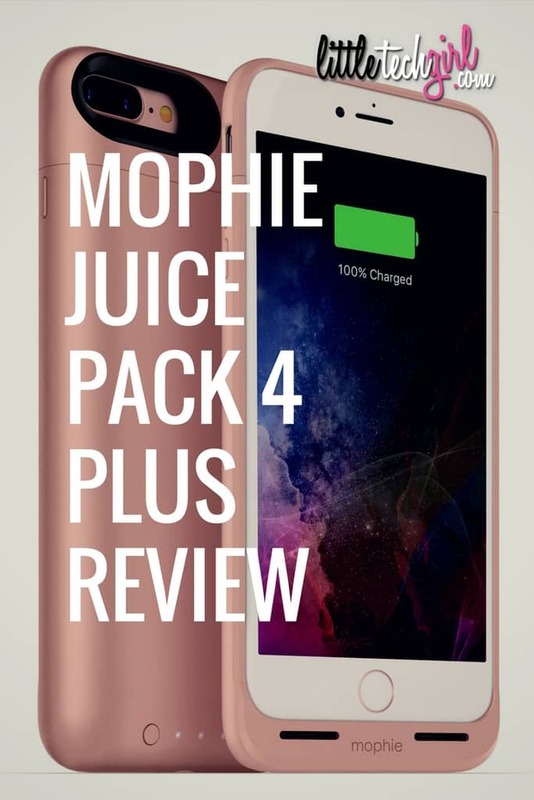 Disclosure: I received a Mophie Juice Pack 4 Plus during CES as a sample. I was not required to write this review in exchange. All opinions are my own. Après une période, variant en fonction de l’usage et des configurations, vous constaterez peut-être que la batterie se décharge plus rapidement et vous obligeant ainsi à la recharger plus fréquemment. the WattsClever Alkaline battery charger scares the hell out of me. According to the product page on Latestbuy, the charger will charge not ..